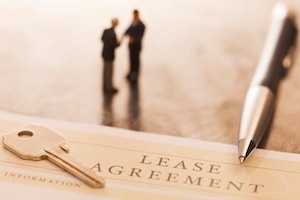 A change in a lease agreement by the making of an assignment of the lease or a sublease is not uncommon for both residential and commercial properties. There are many instances, such as a job transfer, where a tenant may need to get out of a residential lease early. Many commercial businesses sublet as a way to fill empty, unused portions of their leased space and to generate additional revenue. A lease agreement should clearly state whether your landlord allows for subleasing or assignment of your lease. Florida landlords have the right to deny a primary tenant the right to sublease their property (apartment, condo or business) to another person or entity, unless the subletting has been specifically agreed upon in the original lease agreement. It is always recommended that you contact and communicate with your landlord prior to any subletting in order to protect your rights and to avoid potential eviction or future litigation. Also, landlords may have additional resources for proper screening of tenants to help assure acceptable tenants move in. For tenants who have the right to sublet, certain procedures must be closely followed. Without express permission from the landlord, you could be responsible for the rent, assessments and any damages of the subtenants until or at the end of the lease term. The landlord may hold you responsible for any unpaid rents and possible forfeiture of your security deposit. You could also be responsible for the costs and expenses of a formal eviction process of the subtenant, if necessary. The commercial litigation and real estate attorneys at KALIS, KLEIMAN & WOLFE regularly assist landlords and tenants in lease negotiations, subleases, evictions and other related matters. We strongly recommended that you hire an experienced real estate attorney to assist you in drafting and reviewing any lease or sublease agreement in order to protect your rights and to avoid potential litigation. If you are a landlord or a tenant looking to create a lease or sublease agreement or resolve a real estate dispute, contact the experienced Landlord and Tenant Attorneys at KALIS, KLEIMAN & WOLFE, the South Florida-based law firm today at (954) 791-0477.